With an eye on the inbound market, the first India Tourism Mart (ITM) has set its major focus at promoting domestic tourism. 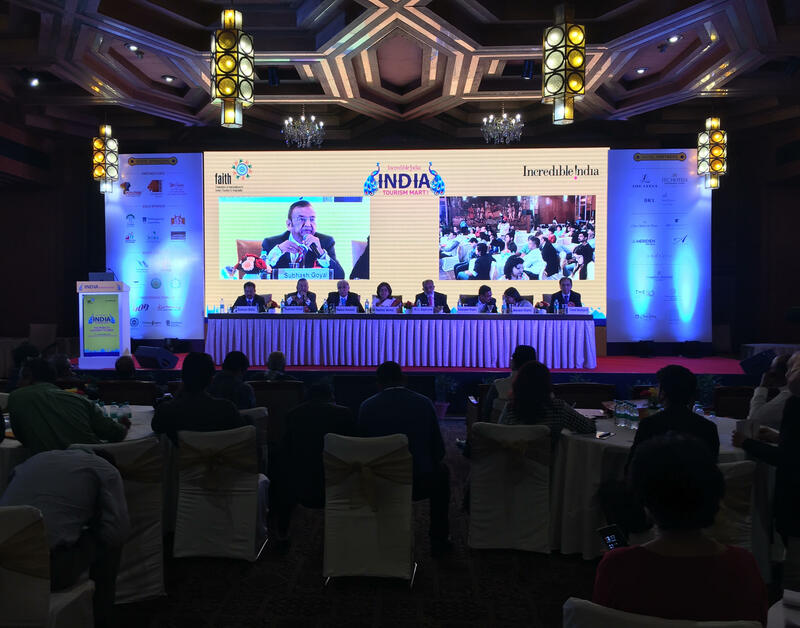 The ITM was thrown open to professionals from the global tourism industry on September 17, 2018 in the Indian capital New Delhi. An initiative of the Indian tourism ministry, the three day mart was organised together with the Federation of Associations in Indian Tourism and Hospitality (FAITH) and with the support of state governments. Part of the paryatan parv or tourism festival of 2018, the objectives of the show included drawing focus on the benefits of tourism, showcasing the cultural diversity of the country and reinforcing the principle of ‘tourism for all’. The ITM 2018 saw participation from hosted international buyers and media personnel from across the world with participants from North America, western Europe, East Asia, Latin America, and CIS countries among others. Verma said that ITM will be an annual event hereafter and in line with other international tourism marts and the ministry will be releasing a calendar of ITM schedule for next five years in order to ensure wider participation. The 2018 event also aimed to provide an opportunity to buyers to see the world class tourism facilities available in India, which include airports, hotels, tourist destinations, upcoming facilities, MICE facilities, possibility in the field of adventure tourism and other niche products. Verma added that previous events like the paryatan parv have helped in the strong growth of tourism sector with a visible 18 pc growth in domestic tourist visits in 2017. Religion, culture, nature, and luxury are some segments of the Indian tourism industry that attract both Indian and foreign tourists.